Adoption of new technologies would see more businesses productive, says the Managing Director of Vodacom Business Nigeria, Lanre Kolade, reports ITRealms. He noted that as technologies such as Internet of Things (IoT) and Big Data Analytics continue to transform and disrupt the business world, that adoption of new technologies will drive productivity and efficiency to remain competitive. 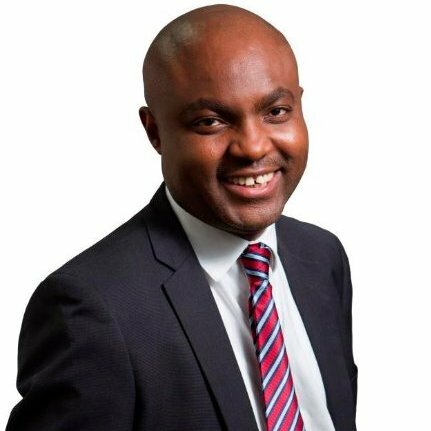 Speaking at the recently held Business Day CEO Forum Nigeria 2017, an annual thought leadership initiative in collaboration with McKinsey & Co, Kolade said “Technology such as IoT enables growth across business sectors. Today, many organisations are using this technology to cut costs, reduce risk, increase revenue and efficiency”. Businesses in the Africa are gradually adopting IoT, with Nigeria being one of the leading IoT markets in Africa. This adoption is driven by the increasing availability of affordable smart devices, coupled with the need for enterprises to deliver shareholder value. According to the Vodafone’s Global IoT barometer report 2017, the adoption of IoT has grown significantly from 12% in 2013 to 29% in 2017 and 49% of these adopters use IoT in conjunction with analytics to improve business decision-making. In Africa, disruptive technologies such as IoT hold significant potential and the opportunities are found in different sectors. From Finance and Insurance to Manufacturing and Agriculture, including the Education sector, organization of all sizes are using IoT to optimize processes, automate production and monitor the supply chain. Speaking further at the event, Lanre Kolade said “We can use technology to disrupt education, with broadband penetration, digitization becomes possible and education contents will be more accessible to all in Nigeria”. Vodacom is using technology to address challenges in, education, healthcare and agriculture in Africa. Vodacom recently deployed IoT solution for education and healthcare in Kaduna state using a mobile school management solution which provides real-time visibility of all administrative activities at over 4000 schools. The healthcare solution monitors stock level and distribution of essential medicines in over 250 medicine dispensary facilities in the state.